As unfair as it seems sometimes, people just have to play the hand that they are dealt with. In the case of 8-year-old Max Ash, that unfortunate hand comes in the form of dyslexia. 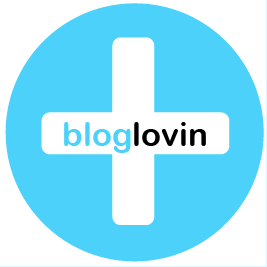 Dyslexia is one of the most common illnesses in America that can affect people of all ages, mostly children. Recent studies show that 15% of people in America suffer some sort of learning disorder with dyslexia being the most common. It is particularly hard for children as the sickness makes it all the more difficult for them to understand things and to express themselves in the written word. As with most parents dealing with this kind of issue, Max’s were also fearful of what the future may hold for the little boy. However, by being brave and simply fighting the good fight, a new side of Max emerged unexpectedly. Although some kids who suffer from dyslexia tend to be good with their hands and very creative, it was still something that his parents were only hoping to see. It was not until second grade students from Max’s art class started imitating his sculpted Mug with a Hoop that his parents realized that their dire hopes have suddenly taken a very pleasant turn. Right away, his parents were able to see the very real possibility of making something out of this very imaginative clay sculpture. They also knew that to get the best model of this sculpted art, they would have to resort to 3D printing. Fortunately for everyone, they have the right person in Sean O’Reilly, at local company 3D Printsmith who is the go-to guy when it comes to all 3D printing related things in the area and who can produce a superb 3D printed model of the sculpted clay mug. The model was so good that Max made it to the top ten, and the only child at that, in Fenway’s Product Pitch event. Max also admitted that it was not until he was actually showing the model around did he realize that his mug idea might really lead to something good. 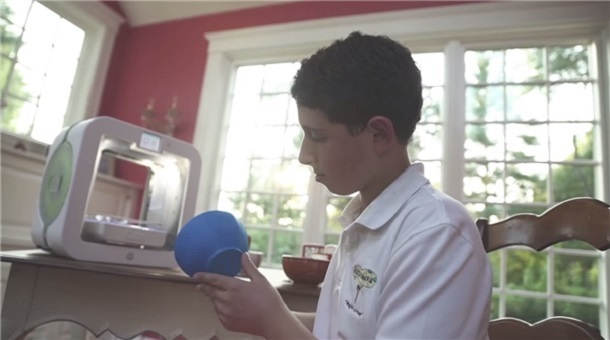 3D printing allowed Max to show the best of his mug idea and it also allowed his parents to test the market using the Mug with a Hoop as a 3D printed prototype without spending too much capital. Since that fateful event to ask for the help of Sean O’Reilly and his 3D Systems’, Max has received exclusive rights to his design and has seen the sales of more than 18,000 mugs across the globe based on last year’s figures alone. Max may have trouble reading or understanding written words, but he has no issues learning business acumen from his parents. 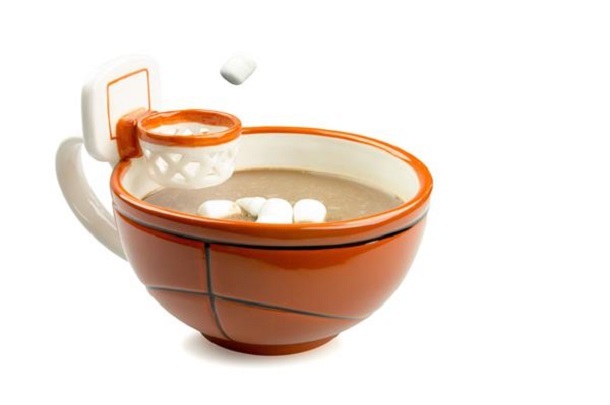 His mug ideas are no longer just limited to basketball fanatics. It now includes everyone’s favorite sports. Among his 3D printed mugs are The Soccer Mug with a Goal, The Mug with a Glove, and so many more. 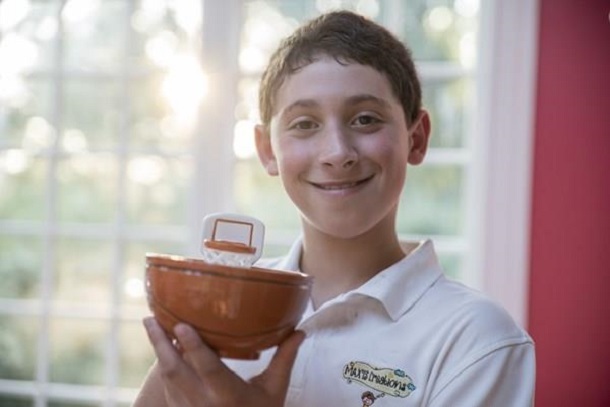 If that is not enough, Max has shown that he is more than just a person with a “dyslexic advantage,” as his parents call it, but a kid with a golden heart. He actually donates five percent of his profits to various charities and organizations that are helping people like him realize their true potentials.